The 2018 Emerging Leaders Team H (Adam Chang, Jewel Davis, Mea Warren, Elspeth Olson, Samantha Quiñon, and Philip Carter) worked with the New Members Round Table to create virtual toolkits usable by ALA student chapters and new professionals to aid in professional development and navigating some of the challenges of early library careers and professional engagement. Use the resources below to learn more about ALA, overcoming new librarian challenges, and professional networking. To download and make copies of the resources in the kit, click here. The ALA 101 presentation allows student chapters to learn about the structure of ALA and provides descriptions of its many roundtables and divisions. The personality quizzes hosted on the popular site Buzzfeed present a fun and interactive way to learn even more about a roundtable or division and how students can get involved. Use the Buzzfeed Quizzes to learn where you fit into ALA’s Divisions and Round Tables. Which ALA Division Are You? What ALA Round Table Are You? The New to the Job resources provide new librarians with strategies to help them be successful in their careers. Topics include creating a portfolio, managing burnout, mentorship, acquiring new skills, salary negotiation, and tracking career progress. The Networking resource outlines the benefits of networking, tips for developing networking skills, and instructions on creating and delivering elevator speeches to develop professionally and make connections. 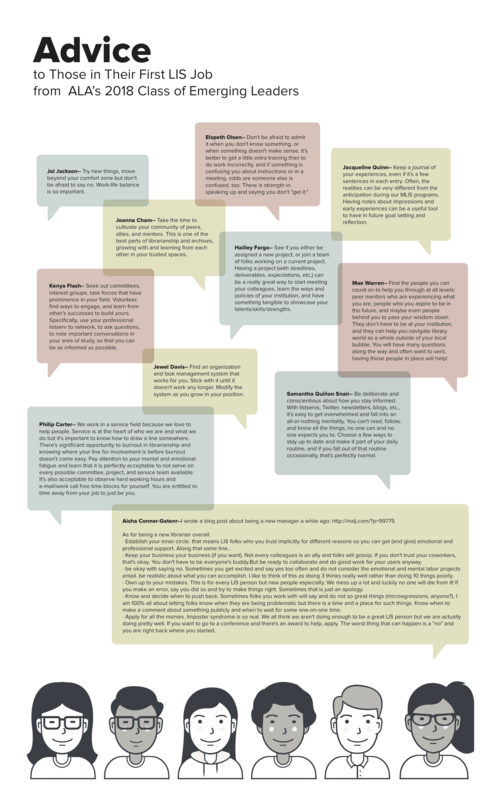 The collection of Career Advice from our fellow Emerging Leaders provides new librarians with valuable insight into how to advance in librarianship.